Sen. Art Linares (right) on May 12 paid a special visit to Haddam Elementary School to commend student Emma Becker (left) on her efforts to help children with cancer. 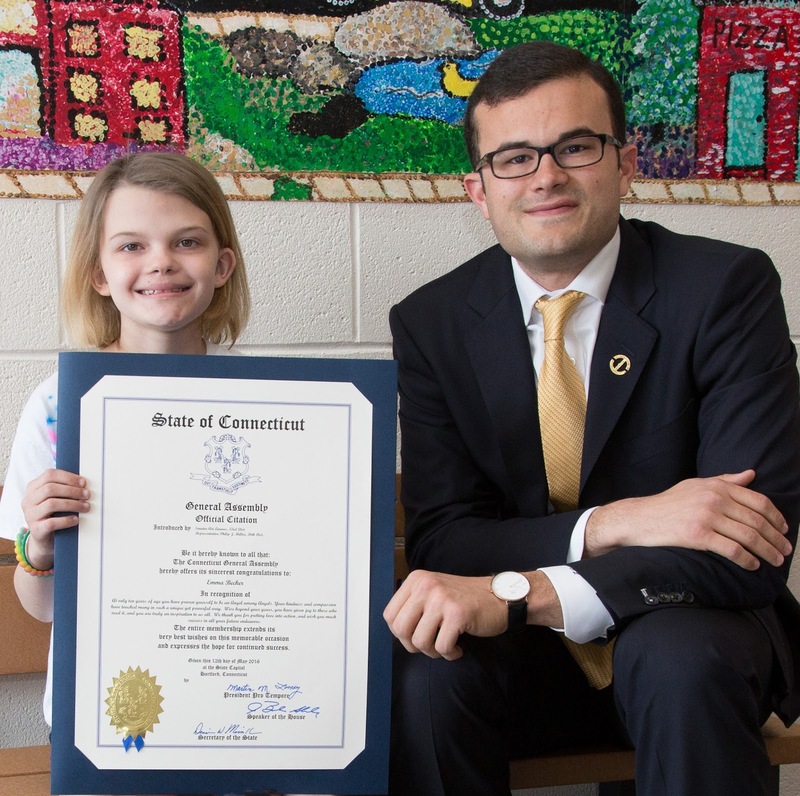 Currently receiving treatment at Connecticut Children’s Medical Center for brain tumors, Emma came up with the idea to help other children who are in treatment at CCMC. Her Play-Doh collection drive has inspired people throughout the state. Donations can be made out to Fight like Emma and sent to P.O. Box 62, Higganum, Connecticut, 06441. Donations may also be dropped off or mailed to Haddam Elementary School, 272 Saybrook Road, Higganum.